Fenugreek can help body builders dramatically improve their performance and athletic abilities; it’s extremely helpful for building stronger muscles. Fenugreek is extremely rich in proteins, in fact eleven grams will contain about three grams of protein! I know that this is not going to sound like a lot, but you have to understand that proteins found in fenugreek are of extremely high quality and more importantly, they are natural and safely, this will avoid bodybuilders exposing themselves to synthetic ones, which are not natural and may cause more damages than benefits. Iron is also very important for building strong muscles because it increase blood’s abilities to transport more oxygen to muscle cells. When bodybuilders have low iron levels, their muscles are not going to stretch and increase in size dramatically, which means that no matter how hard they train and push themselves into lifting weights, they are not going to “see” positive results! The next benefit of fenugreek for bodybuilding is related to energy levels. 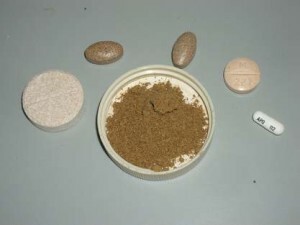 In a scientific experiment, researchers gave the two groups of bodybuilders special capsules, for the first one, they gave fenugreek extracts and for the second group, sugar pills (placebo)! Scientists noticed that bodybuilders who received fenugreek extracts were able to bench press more than the other group! They found that fenugreek extracts were associated with an increase in resistance levels and the energy levels available in the body, in other words, consuming fenugreek is going to make bodybuilders train more, and do more in less time! By lowering the inflammation levels in the body, bodybuilders are going to increase their energy levels. Indeed, high inflammations are going to increase the body’s risk to diseases, lower resistance to infections, and on the long run, make the body look older and unhealthy. Fenugreek is very rich in anti-inflammatory compounds and especially antioxidants; these are the ones responsible for lowering inflammation levels and are crucial for preserving overall health by protecting healthy cells from DNA damages. Although zinc may not “appear” as very important for bodybuilding, it is! It’s responsible for keeping energy levels healthy, and without zinc, bodybuilders are going to feel fatigue and exhaustion very quickly. Fortunately, fenugreek is very rich in zinc and is going to provide the body with healthy amounts that are not only very beneficial for keeping energy levels up, but are also very important for maintaining the immune system healthy and functioning optimally. A lot of bodybuilders are training extensively and consuming very rich foods without ever achieving “amazing” results! They may be suffering from excessive parasites and germs in their intestines! These are going to “share with them” their foods and energy, and even more, they are going to release toxins in the blood stream! Fenugreek seeds and extracts are very rich in anti-inflammatory, anti-septic molecules and more importantly, fibers; these are the ones responsible for getting rid of the toxins and getting rid of the parasites.